Hatters Fine Furnishings, an independent family owned business for over 60 years has Bedfordshire's biggest and brightest showrooms with friendly and experienced staff. We pride ourselves on the high level of personal service we offer each one of our customers. The store has free parking located directly in front of the main entrance as well as a complimentary Coffee Bar for you to relax in. There is a free 30 miles delivery service for items ordered over £200. At Hatters, we have a reputation for quality - which is built on supplying the finest products from companies recognised for their innovative design, high grade materials and superb craftsmanship. In over 100 room settings you will find some of the most famous brand names in fine home furnishings. From traditional to contemporary we have a range of furniture that will suit your home and your lifestyle, with distinguished manufacturers such as: Stressless, Ercol, G Plan and Parker Knoll; beds from Vi-Spring, Hypnos and Health beds; cabinets and dining furniture from Ercol, Skovby, Old Charm and Nathan to name but a few. Hatters are one of only a handful of retail businesses operating successfully for over 60 years in Bedfordshire. The business is still independent and family run today. The story starts with two brothers - Eric and Frank Wenham and their home decorating shop in Waller Street, Luton called Wenham's which opened in 1959. Frank's son Paul remembers going into the store aged 6 with his father on the opening day. The shop quickly gained a growing number of satisfied customers built on the experience, expertise and service offered by the Wenham's leading to the expansion of the business into home furnishings with another store in Bedford in 1961. Fred and Brenda Marshall, of Roxton, Beds, became the first customers when Hatters first opened in Bedford in 1961. Later, Frank Wenham along with director Alan Cooper decided to change the name, and being keen Luton Town FC supporters adopted the club nickname, so Hatters Furniture was born. Over the years further stores came and went across Bedfordshire. Now the third generation of the family help to run things, however those early family principles have never been forgotten and still apply today; understanding customer needs and providing them with quality merchandise. "Even though we have a bigger product range now, the same reliable service and expertise that was offered in those early days is still the most important element, ensuring we have satisfied customers every day." - Paul Wenham. In recent customer surveys 95% of Hatters customers said that Hatters service was "good" or "very good with very helpful, knowledgeable and professional staff." 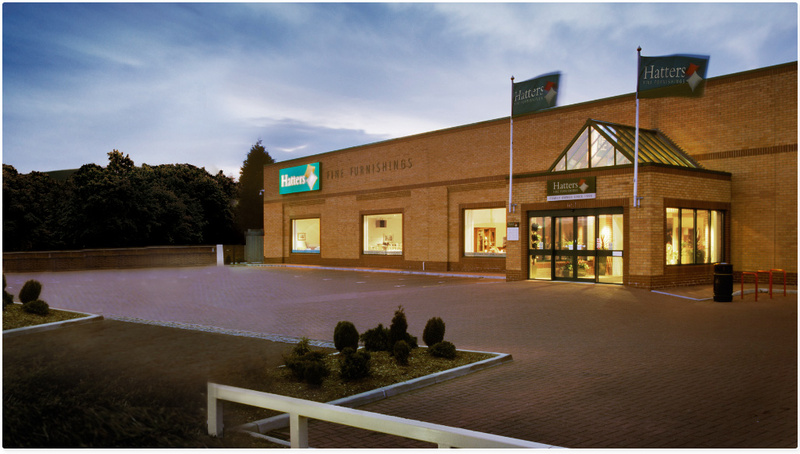 A major extension and refurbishment of the Goldington Road store was completed in October 2003. The store now includes a vast range of leading brands for most rooms of your home including - kitchens, carpets and fitted bedrooms from Hammonds, plus wallcoverings, blinds and curtains from George Short Interiors. Over the years Hatters has played an active part in the local community supporting a number of local charities and good causes, including village fetes and are a major sponsor of Bedford Rugby Club.